Former Senate Leader, Senator Mohammed Ali Ndume of All Progressives Congress, APC, Borno South Monday wrote the National Working Committee, NWC of his party, declaring his intention to contest for the position of the Senate President. According to a letter of intent dated March 25, 2019 and addressed to the APC National Chairman, Comrade Adams Oshiomhole, Senator Ndume who has thrown his hat into the ring, has however asked for the blessings of his party, the APC. The letter stated that, "Following the successful conduct of the 2019 general election and the overwhelming victory of our great party the APC at all levels, I hereby forward my letter of intent to contest for the office of the President of the Senate in the 9th National Assembly. "I wish to emphasize that my decision to contest for the Senate Presidency is informed by my conviction to contribute my quota to nation building." Senator Ndume who served as minority leader in the 6th House of Representatives and majority leader in the 8th Senate, said that he has the capacity and what it takes to be the Senate President and deliver on party policies and programmes. On why he is contesting, he said, "my vast legislative experience and my deep desire to take Nigeria to the next level of development." 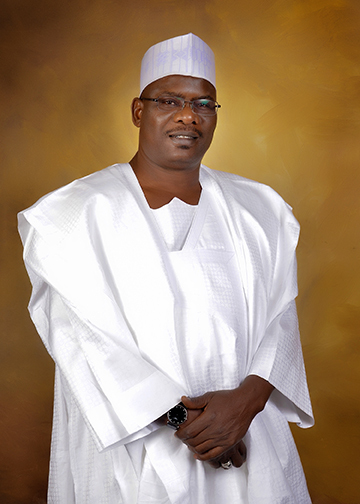 In the letter, Senator Ndume who noted that calls from respected party (members) both within the North East and other parts of the country have encouraged his aspiration, said, "For these reasons and more, I wish to forward myself for the blessings of the Party, my Colleagues in the Senate and fellow Nigerians for the post of the President of the Senate." The former Senate leader expressed optimism "that the Party leadership will see the desired wisdom in zoning the Senate Presidency to the North-East due to our sterling performance in the 2019 polls, giving the President the second highest votes cast."